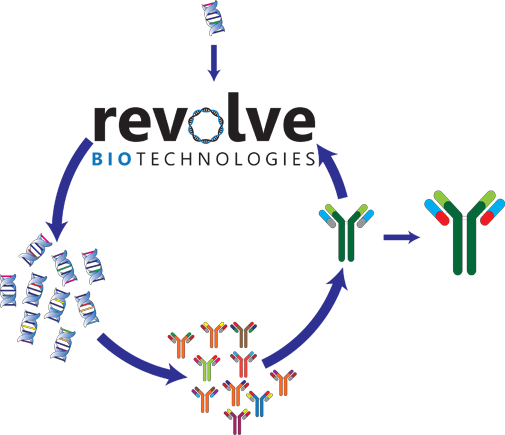 Revolve has developed a proprietary oligonucleotide-directed mutagenesis approach which allows for generating libraries of up to 1012 variants in a single-day single-tube reaction while eliminating wild-type and off-target mutations. 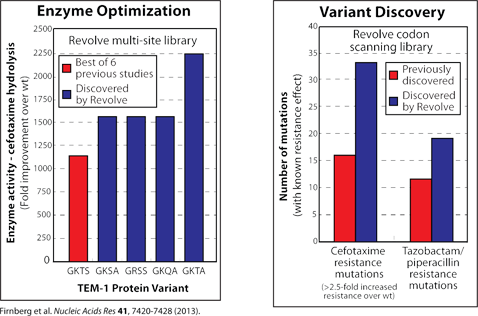 Proprietary software for oligo design based on hybridization thermodynamics enables introduction of mutations with low bias, even distribution, and high library completeness. Libraries are constructed and delivered directly in the user's desired vector, avoiding the need for cloning and reduction in library diversity. 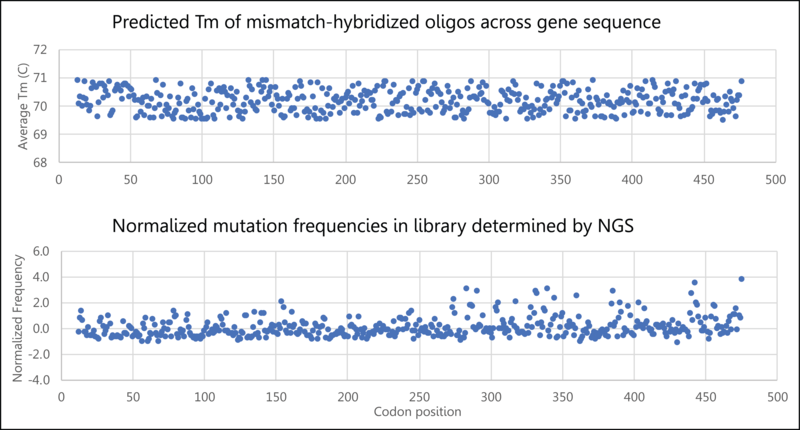 Oligo design and NGS analysis of a 475 codon NNN scanning PFunkel library. 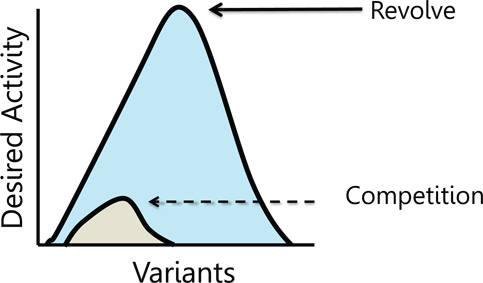 Revolve's proprietary oligo design software is able to Tm-match all mutagenic oligos across any gene length using nearest-neighbor mismatch hybridization thermodynamics. This ensures even mutational distribution across the gene in our single-pot PFunkel libraries. 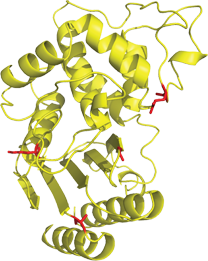 Novel high-activity enzyme variants discovered from scanning and combinatorial libraries. Complete fitness mapping of nearly all amino acid mutants of an enzyme using a scanning library.